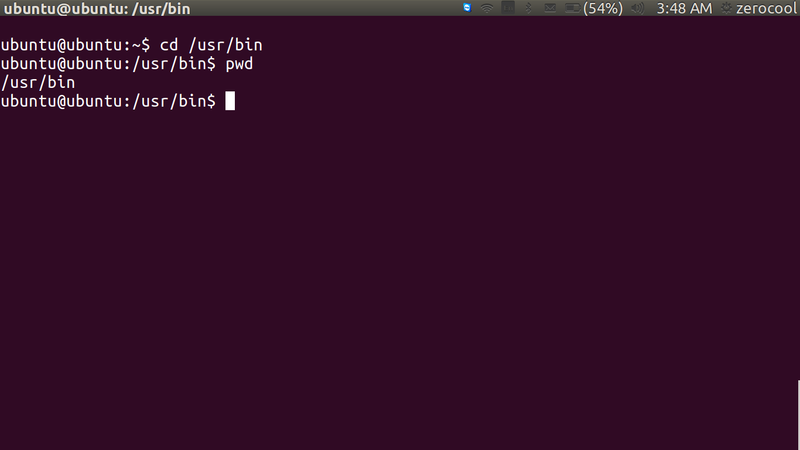 IN PREVIOUS ARTICLE LINUX TERMINAL-COMMAND-I-INTRODUCTION WE ONLY DISCUSS THE BASIC COMMANDS. so, today we are going to discuss about the navigation of the file directory in the linux distribution system..basically today we learn mostly three things..
but before if you don't read my previous article in linux commanding please read it first..
Like Windows, a Unix-like operating system such as Linux organizes its files in what is called a hierarchical directory structure. The first directory in the file system is called the root directory. The root directory contains files and subdirectories, which contain more files and subdirectories and so on and so on. that unlike Windows, which has a separate file system tree for each storage device, Unix-like systems such as Linux always have a single file system tree, regardless of how many drives or storage devices are attached to the computer. When we first log in to our system or start a terminal emulator session our current working directory is set to our home directory. see the files contained in the directory and the pathway to the directory above us called the parent directory and any subdirectories below us. The directory we are standing in is called the current working directory. 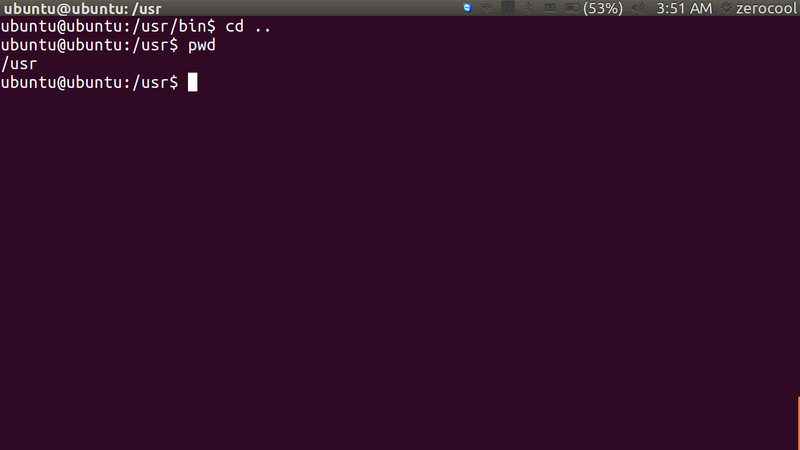 pwd (print working directory) command. pathname : is the route we take along the branches of the tree to get to the directory we want. pathnames or as relative pathnames. Absolute Pathnames :An absolute pathname begins with the root directory and follows the tree branch by branch until the path to the desired directory or file is completed. 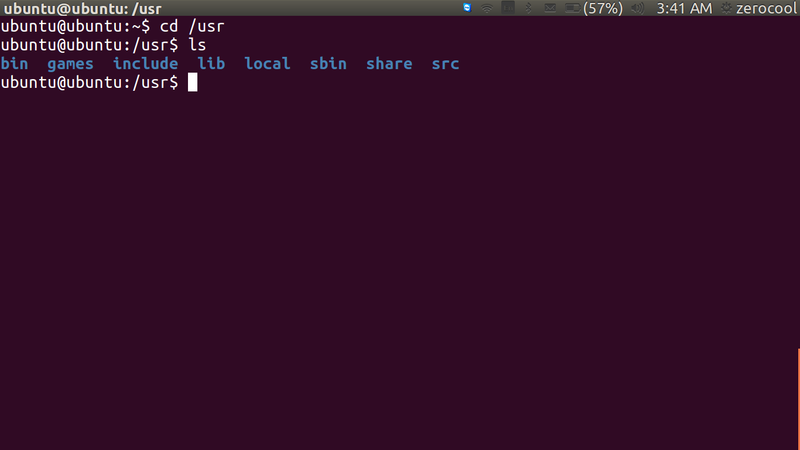 then you have to pass through 'usr' directory. ..actually '/'(forward slash) use for the navigation from directory to subdirectory. 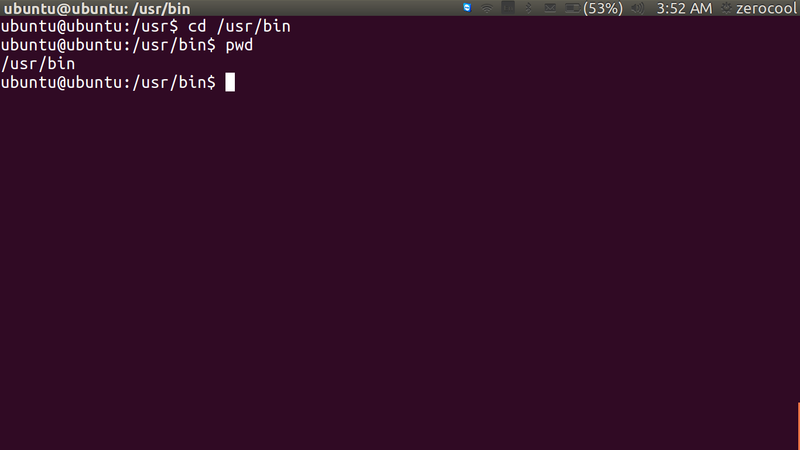 so , cd /usr/bin ..is an relative pathname start from the root directory to the destination. it start from the working directory. 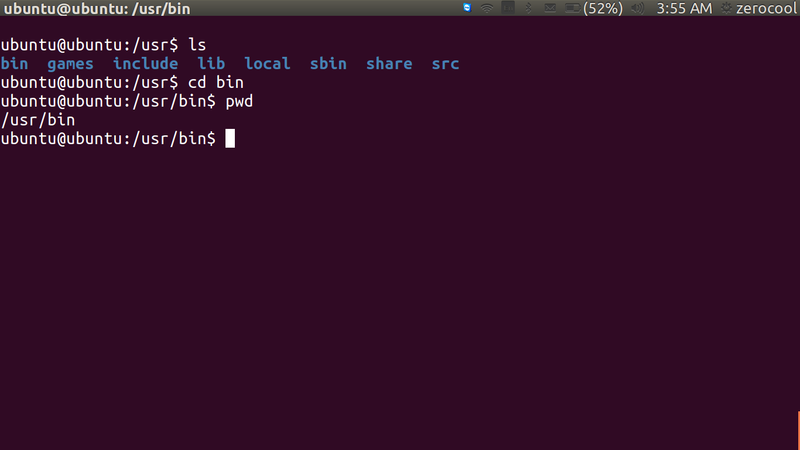 lets understand what it's mean..
command :pwd...this will give you the current directory name..which is 'bin'..
so if you want to navigate to another directory like to '/usr'..from the current working directory ..'bin'..then you have to go with relative pathname. 2. 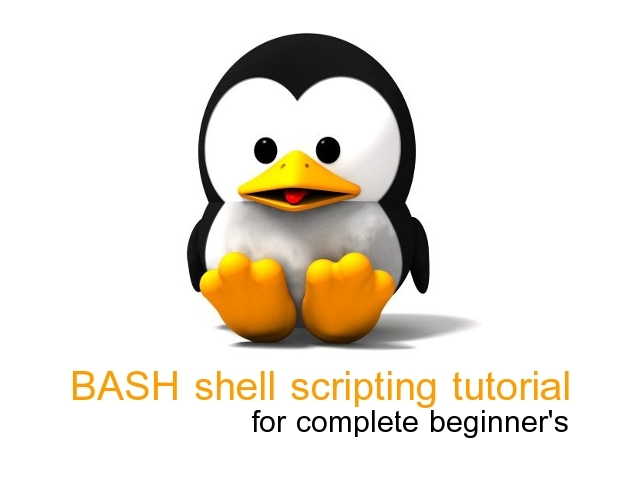 '..'(double dot): through this it will navigate to parent directory of the current working directory..
this will take you to the parent directory of the 'bin' directory, which is 'usr'. 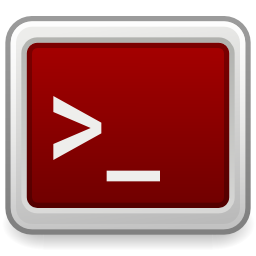 pwd : use to display current working directory pathname. absolute pathname : start from the root to destination directory. relative pathname :- start from the current working directory. get the current working directory '/usr/bin'. for this their is two way to doing this. 2. or by the relative pathname..
here what we learn above used here that..
by using '..' it will navigate to parent directory of the current working directory. 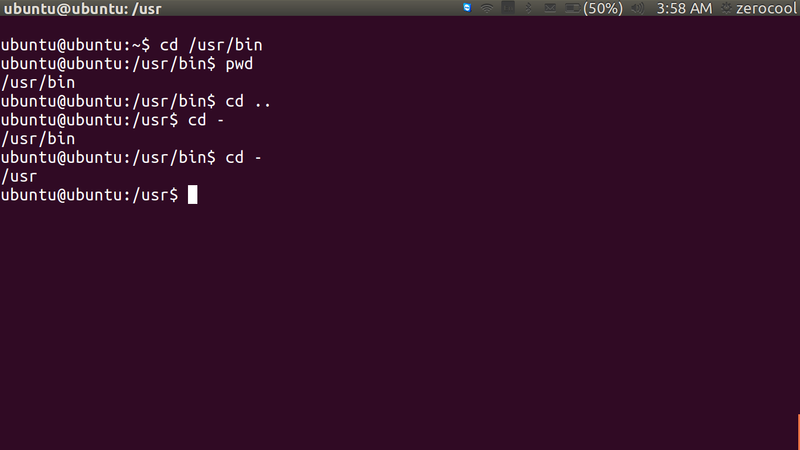 commnad : "cd /usr/bin" or "cd ./bin" both are equivalent. "if you do not specify a pathname to something, the working directory will be assumed"
it's mean that in 'usr ' directory their is many directory . 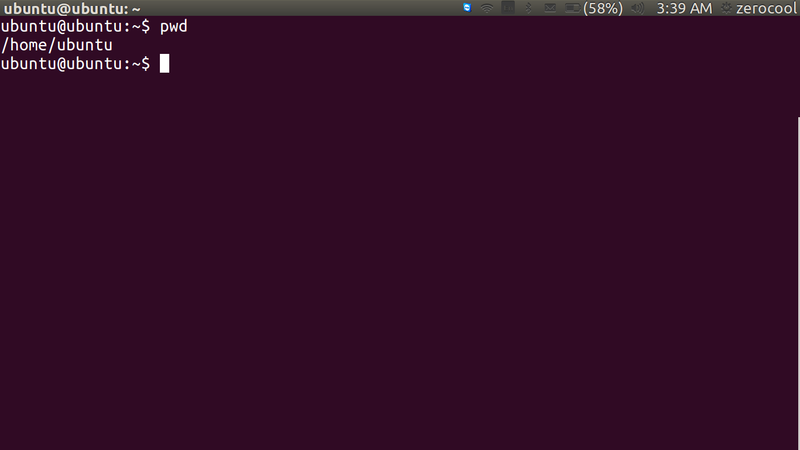 so if you ommitted './' from command it will assume that you are working in the current directory. 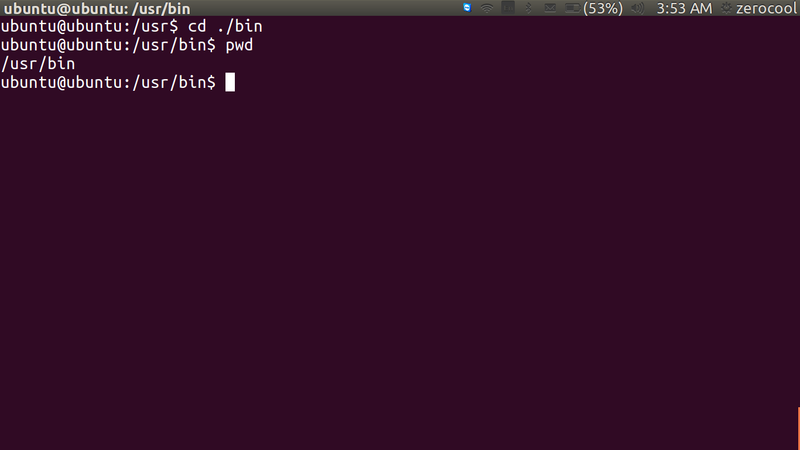 if you don't get this see here..
1. cd Changes the working directory to your home directory. 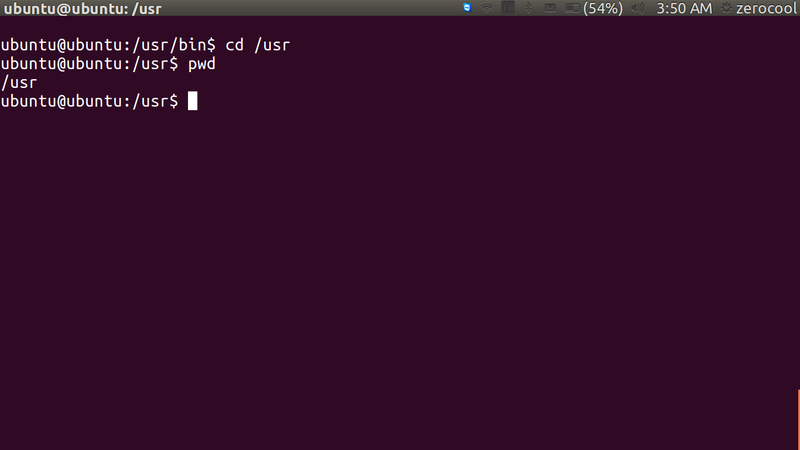 2. cd - Changes the working directory to the previous working directory. read my next article based on commanding..